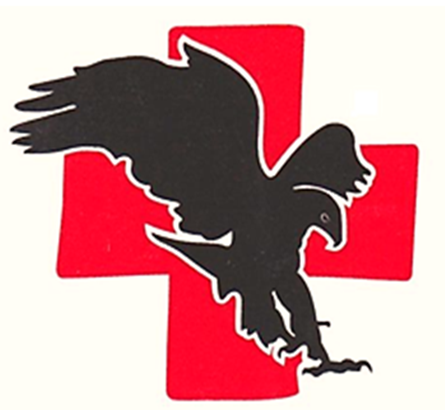 Eagles Nest Wildlife Hospital, situated at Millstream, Ravenshoe, is a five acre sanctuary for the indigenous wildlife of Far North Queensland; providing a first class service for the rescue, rehabilitation and release of any animal in need. There is no discrimination against species, any animal, no matter how small or common is rescued and cared for. Rescuing upward of 800 animals per year, sometimes well over 1000, Eagles Nest also provides one of the only raptor and eagle rescue and rehabilitation services in Far North Queensland, with the founder and director, Harry Kunz, being very experienced in the handling and treatment of birds of prey. Situated on a beautifully planted property, Eagles Nest has over 40 aviaries, designed and landscaped to suit the needs of a variety of species. The largest being a free-flight aviary for rehabilitating Eagles at over 30 metres long. Eagles Nest Wildlife Hospital is also one of few Queensland services to have been in operation long enough to hold a permanent keep licence, meaning that wildlife that comes in but due to injury or illness is not able to return to the wild, but can live a good quality of life after treatment, can remain in care at the sanctuary permanently. As such, a number of animals reside at Eagles Nest, including a range of raptors i.e. owls, falcons, kits, eagles and hawks, and other native wildlife. Volunteers who come to Eagles Nest have the opportunity to work alongside these animals, involved in the feeding, cleaning, maintenance and enrichment of the animals lives. Long-term volunteers or veterinary students will also have the opportunity to help treat animals, and learn from Harry who has been caring for more than 30 years. Part of Eagles Nests mission is also to educate the public and raise awareness for animals across Australia. The recently built Education Centre allows for community groups, the public and schools to visit and learn, do courses when they are offered and also get tours of the sanctuary and buy souvenirs or t-shirts for a donation toward the hospital. The hospital is designed for maximum efficiency and privacy for the animals, with many more ideas and plans for the future growth of the sanctuary. The running of Eagles Nest costs over $60,000 annually, relying on the donations, memberships and sponsorships from the public. Please donate generously and help support our wildlife hospital and the animals we care for. I read about your sanctuary on the Guardian. I work by day as a fundraising writer for a University here in the UK. If by some chance I could ever be of help in writing proposals to help solicit philanthropic support please don’t hesitate to get in touch. You have my utmost admiration for what you’re doing and have achieved. My name is ZuZu Cooper, I came across your website while browsing for an internship in Australia. I am a Junior at Delaware Valley University in Pennsylvania, USA. My major is Wildlife Conservation with a business minor. I would be interested in volunteering either this summer 2017 or in December 2017. I will graduate early in November, so either would work. How you must feel is beyond understanding; seeking another to continue the healing, nay, the Magic. Tho’ it must be traumatic and surely feels terribly vulnerable and achingly lonely; may you find comfort in the ethereal light that guides and enfolds you in the ether of all that is Love. Keep up the good work! As a fellow rehabber myself for over 25 years I know the struggles to care for many animals! I would definitely take you up on your offer!!! Good post. I study something more difficult on different blogs everyday. It can all the time be stimulating to read content material from other writers and follow somewhat one thing from their store. I’d prefer to make use of some with the content on my blog whether you don’t mind. Natually I’ll provide you with a link in your web blog. Thanks for sharing. Hi Harry, I did some voluntary work for you some time ago and am happy to volunteer again if necessary, I can only offer Sundays as I work full time during the week, let me know your thoughts. Is it still looking for a new owner? Would you take in a Dingo puppy? Still curious how to volunteer at the hospital? Can I simply say what a relief to find someone who actually knows what theyre speaking about on the internet. You positively know the best way to carry a problem to light and make it important. Extra folks must read this and understand this aspect of the story. I cant consider youre no more fashionable since you undoubtedly have the gift.